Another great day on the water. The kings are chomping still. 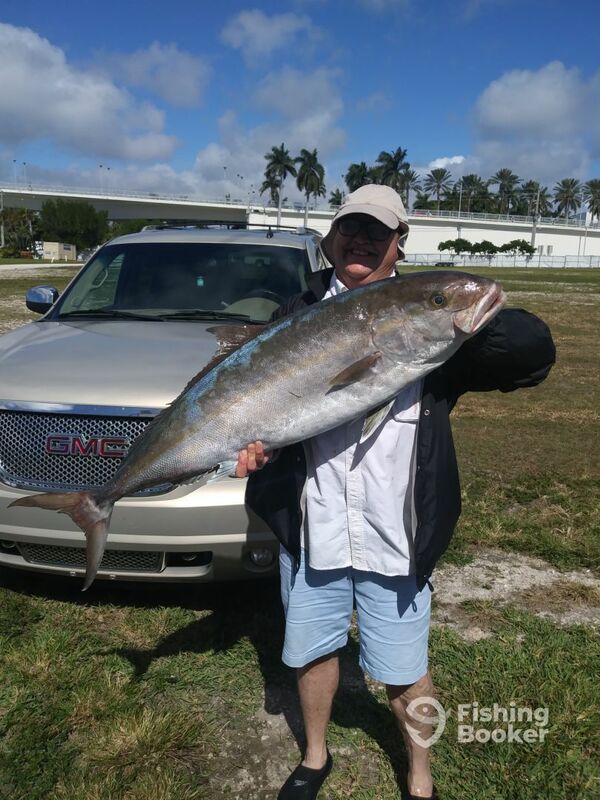 We also had a surprise visitor a 60lb + Amber jack. 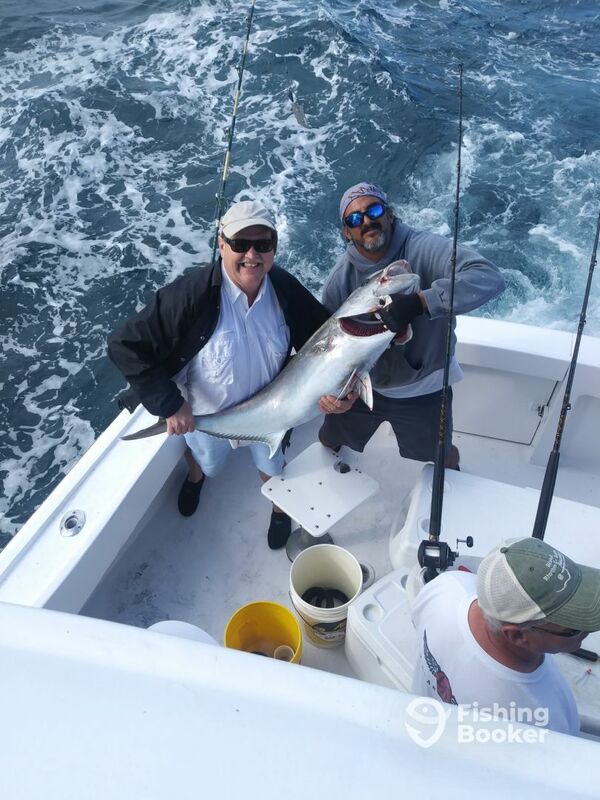 The crew of Corsair Sportfishing has been successfully putting their clients on big fish in the Atlantic Ocean for many years. Captain Russ McKinley (captain of Corsair 2) was born and raised in South Florida. He has over 3 decades of local fishing knowledge and never stops learning. He is patient with first-timers and seasoned vets alike. Capt. Luis Pino runs the 46' Corsair boat. We had another amazing day on the water. We fished the reef and landed a big wahoo. Lots of kings biting as well. We landed a big 48lb king fish today. We also did some shark fishing and caught a 7 foot hammer head.